Dr. Tindall has been involved in fitness, health, nutrition, and training for over two decades. He has served in a variety of positions including vice president, chief technology officer, executive protection specialist (bodyguard), research scientist, consultant, and others. He holds PhD, M.A., M.S., and B.S. degrees. Dr. Tindall became extensively involved in nutrition while working with Dr’s Laren Robison and Lamont Smith during his M.S. degree. He developed nutritional programs for families and communities in Latin and South America that utilized small-scale agriculture systems which provided a year’s supply of balanced nutrition from minimal resources. This work opened many avenues of exploration and assisting others. Then, with a burning passion for fitness since his military days he combined these ideas and founded MyHealthandFitness.com in the mid-1990s (the first “My” URL on the Internet, predating ‘myspace.com’ by several years) to empower people to become their own health, nutrition, and fitness experts. As one of the world’s foremost experts in health, fitness, nutrition, and training he served on the Advisory Board for Muscle & Fitness Hers Magazine from January 2003 through December 2007. He recently completed the development of an exercise protocol for NASA and collaborating international astronauts for long-term space travel that helps maintain muscle mass and increased bone density in micro-gravity (a severe problem in long-term space travel) the research was a resounding success. He has also served as an IFBB preliminary, individual placings, and finals judge for both bodybuilding and fitness and figure. Think what he can do for you! Dr. Tindall has served by invitation on various national panels, including the President’s Initiative on Physical Fitness and regularly edits and reviews manuscripts and proposals from various scientific organizations including NASA, National Institute of Health, National Institute of Environmental Health Services, and others. David has been a leader and creator in his profession as a real-estate developer and general contractor for nearly four decades, including new product development of ultra energy efficient habitats that withstand the forces of nature. David’s experience in thermal-mass, composite-concrete construction is unprecedented in being innovative and utilizing science and technology to gain the greatest potential in product design and project development. One of the highlights of David’s expansive career was being selected as the project manager extraordinaire, overseeing the building the bobsled/luge track for the 2002, Salt Lake City Winter Olympics, as well as the exclusive steel fabricator contractor, setting the shape of the mile long track in a challenging mountain canyon. David’s collaborative efforts have endured for 26 years on many projects, at many levels, specifically, Dr. Tindall’s mentoring and teaching of David in speed-strength training along with the martial arts to develop intellectual acuity and physical agility for maximum results in David’s work, workouts, sports, and the challenges each day that life has to offer and, that he has been actively excelling in. David’s wealth of knowledge and experience in business operations coupled with his commitment to a healthy productive lifestyle makes a perfect fit for MyHealthandFitness. More importantly, David is a living example of what MyHealthandFitness strives for in helping people excel. Dr. McAlpine has long been an avid fitness and nutrition fan and has used that experience and her constant energy to help the underserved on Native American Reservations and in the inner cities, as well as working with returning vets from the Middle East combat theatres with the U.S. Veteran Affairs Administration. Her enthusiasm is contagious as she strives to use her expertise to further the cause of good nutrition, a balanced diet and the benefits of fitness in all areas of one’s life. She has first-hand experience in working with the importance of nutrition in relation to health issues to reduce drug dependency in cancer and seizure patients, as well as PTSD of vets and is witness to the great benefits exercise and nutrition have for these patients. Additionally, Dr. McAlpine has gone through NASA astronaut training protocols and was principal investigator of the bone exercise study along with Dr. Tindall in developing the first exercise training protocol for NASA for long-term travel in space. From developing residency programs for nurses to working with astronauts, Dr. McAlpine, who is also an avid hockey player and fan, brings a wealth of knowledge in training, fitness, and nutrition to MyHealthandFitness. Dr. E.J. “Doc” Kreis has served as head strength and conditioning coach at both University of Colorado and the University of California Los Angeles (UCLA). Dr. Kreis joined UCLA after a 11 year tenure at the University of Colorado where he served as both head strength training coach for all college sports at the university and later as Assistant Athletic Director. Doc was named the National Collegiate Strength Coach of the Year for 1994-1995 by the Professional Strength and Conditioning Society. This marked the third time he has been afforded national honors in his career. Doc was also the recipient of the 1995 Stan Jones Award in demonstrating the high standards and discipline for strength and conditioning. This unanimous ratification from the International Sports Sciences Association Board of Directors makes Doc the first-ever recipient of the award that honors the legendary strength coach it is named after. Prior to serving at the University of Colorado, Dr. Kreis had a seven year tenure at Middle Tennessee University. While at MTSU, he was named the National Strength and Conditioning Coach of the Year for 1991-1992. He has studied sports and training methodology in the Soviet Union, Bulgaria, Germany, France, Mexico, and other countries. As a former athlete, Doc’s experience has served him well in advancing the development of methods and techniques in coaching Speed-Strength training. As an aside, in the 1960s, Soviet Union scientists and coaches coined a new term for athletic power: SPEED-STRENGTH. Speed-Strength is the combination of maximum speed incorporated in maximum strength to produce the greatest amount of power. Doc was at the forefront of this movement in the United States. The goal for the MyHealthandFitness web site, is to present these valuable Speed-Strength training methods to help you, the reader, in planning, developing, implementing and managing lifting exercises and drills in jumping, throwing, and reaction speed. You will find yourself improving in speed and in strength and rising to a new athletic sports level. If you’re a bodybuilder, you’ll become much stronger and for those in speed sports such as football and other, you will not only become much stronger, but also much faster. Whether you are a novice or professional athlete or, a beginning fitness buff, these training methods can be successfully applied and will bring your fitness and skills to an entirely new level. Dr. Kreis is considered one of the best two strength coaches in the United States and is highly sought after for coaching, seminars, and speaking engagements. He has certification from the National Association of Speed and Strength Explosion (NASE) and the International Sports Sciences Association (ISSA). All of his combined experience is now offered on the MyHealthandFitness web site. Deitric Hayes has extensive experience with physical trauma and injuries and their rehabilitation, which includes both fitness and sports as well as other traumatic injuries from industrial fields. This experience includes eight years PT experience rehabilitating muscle and joint injuries. 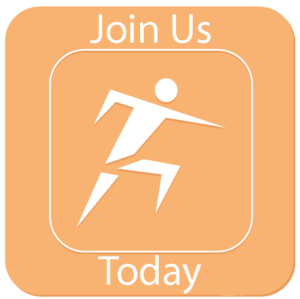 Additionally, Deitric is an avid martial artist and fitness enthusiast, which passion he shares with his patients. Mr. Hayes frequently conducts health screenings in the community and has attended seminars in Orthopedic manual therapies, receiving several certifications. He is very active and enjoys many outdoor activities, one of which is climbing 14er’s in Colorado, i.e., mountains that are 14,000 feet and higher in elevation, which is quite a serious way to stay in shape. Don has more than 20-years’ experience in the health and fitness industry, including sales, health and fitness programs, design, and directorship. He is also an ex-collegiate and professional athlete. He is both a certified master trainer and certified fitness instructor. 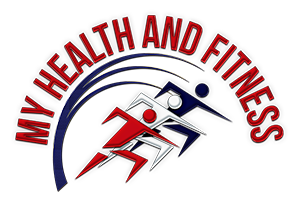 Don has worked in a variety of positions in this industry for Holiday Health and Fitness, Fitness America, Bally’s, Fitness Planet, The Spire Institute, and other organizations. 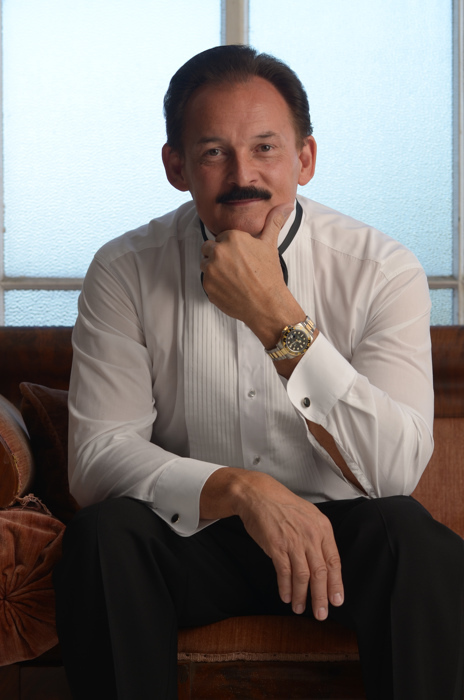 He has set a national, personal training revenue record for Bally’s Health and Tennis Corporation and has also directed several personal training programs in the upscale market of Scottsdale, Arizona. Don joins us as Director of Training for MyHealthandFitness.